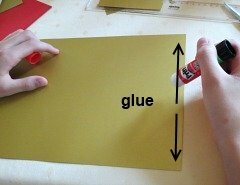 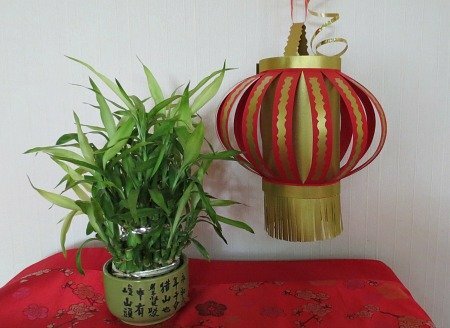 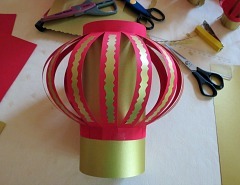 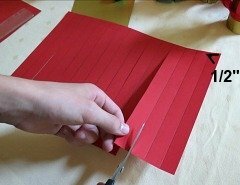 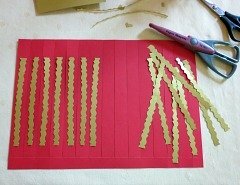 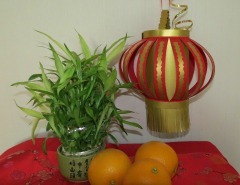 Chinese New Year Lanterns: Making Your Own! 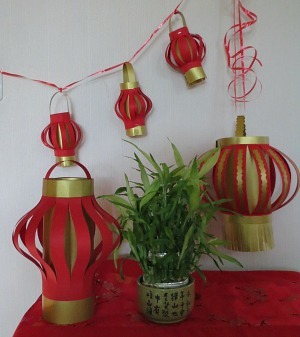 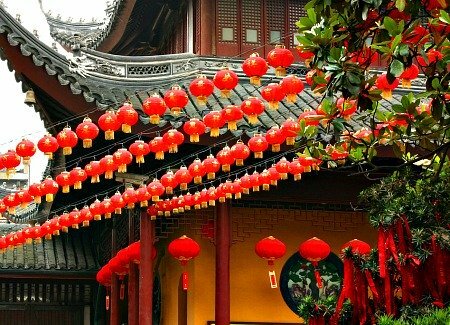 Chinese lanterns come in all sorts of shapes, sizes and colors, although for Chinese New Year, the traditional red and gold balloon lantern is one of the most popular ones. 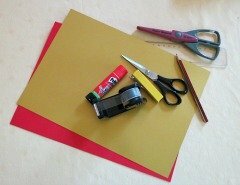 Here we show you how to make your own so you can decorate your home, your room, hang by entrances, place on tables, liven up the classroom! 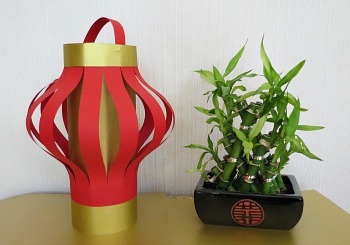 There are some very simple steps and all you need is some paper and glue and a few other things you are likely to have at home to make this bright and cheery lantern and get in the holiday spirit! 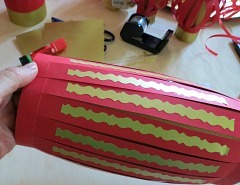 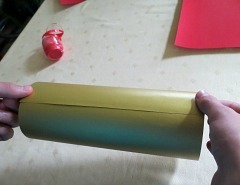 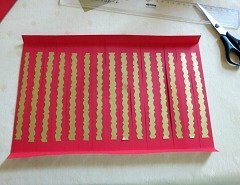 This will form the bars that will form the balloon of the lantern. 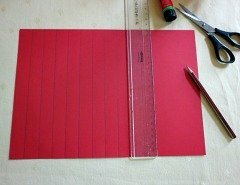 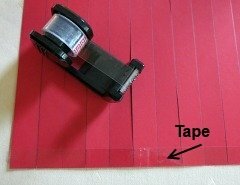 You can cut one sheet of red paper in quarters and make up to four little ones, BUT remember not to use them in fours, four is a VERY BAD LUCK NUMBER, so either put them in pairs, or groups of three, or even better, make two sheets and get EIGHT LUCKY LANTERNS, eight is the lucky number for the Chinese as its pronounciation resembles the word for "wealth"! 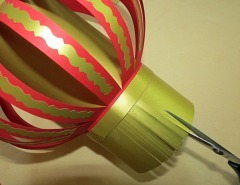 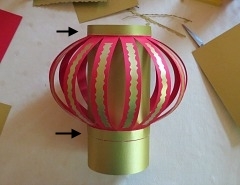 To get this not-so-round shape, you skip Step 5, do not fold the top and bottom to get the softer look rather than the balloon look.